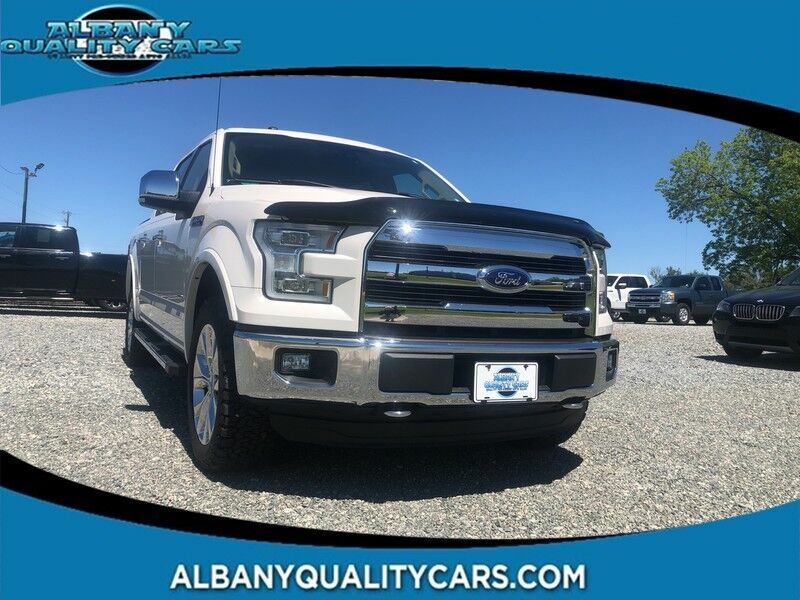 Albany Quality Cars has a wide selection of exceptional pre-owned vehicles to choose from, including this 2016 Ford F-150. CARFAX BuyBack Guarantee is reassurance that any major issues with this vehicle will show on CARFAX report. Excellence, luxury and stature are just a few of the pillars this car is built upon. At home in the country and in the city, this 2016 4WD Ford F-150 Lariat has been wonderfully refined to handle any occasion. Smooth steering, superior acceleration and a supple ride are just a few of its qualities. More information about the 2016 Ford F-150: The F-150 might be the most important vehicle made by Ford. It continues to be one of their top-selling vehicles, encouraging Ford to put their best foot forward with the 2016 model. The F-150 competes with the Ram, the Chevrolet Silverado and the GMC Sierra 1500, among others, in the full-sized truck category. Ford is clearly pushing its new technology and new ideas with the F-150, offering plenty of options not available anywhere else in this class, such as a 360-degree camera and integrated loading ramps stowed in the pickup bed. A smaller, more fuel efficient EcoBoost engine is also available, which should further improve fuel economy while providing the same kind of horsepower that would normally be delivered by mid-grade V8 engines. At the same time, the F-150 continues to excel at traditional truck tasks, with a best in class towing capacity of 12,200 pounds when properly equipped. Interesting features of this model are available in a huge variety of trims, Towing capacity, efficient turbocharged engines, improved gas mileage, and rugged durability "OUR LOW OVERHEAD ALLOWS US TO SELL FOR LESS"